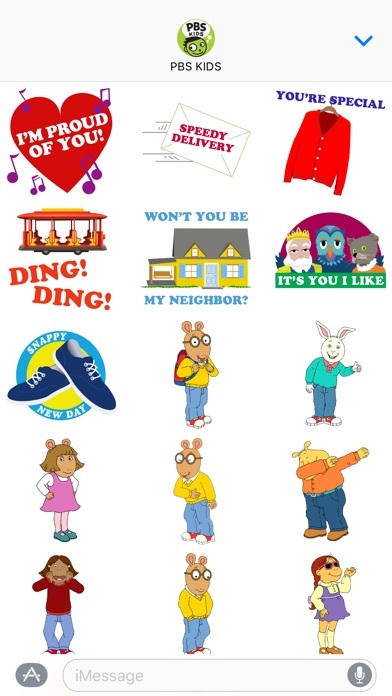 *UPDATE* New Mister Rogers' Neighborhood stickers added in celebration of Fred Rogers’ life and legacy on his birthday, March 20th! 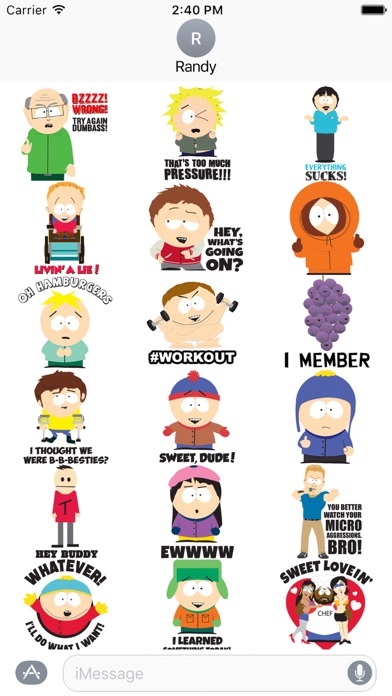 Share kindness by exchanging these stickers with friends, family, and neighbors. 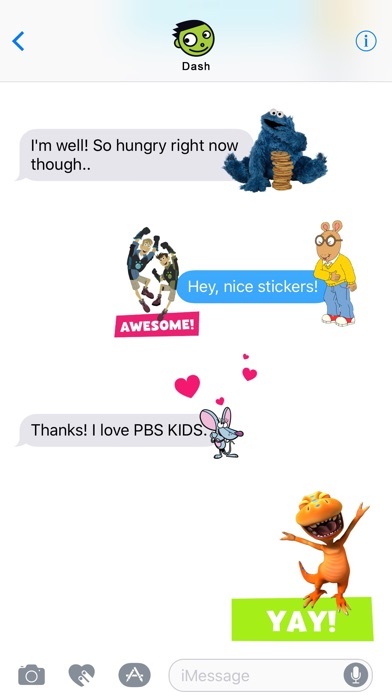 Add some PBS KIDS fun to your messages with stickers featuring Mister Rogers’ Neighborhood, Arthur, Sesame Street, Wild Kratts, Nature Cat, Dinosaur Train, and Ready Jet Go! PBS KIDS, the number one educational media brand for kids, offers all children the opportunity to explore new ideas and new worlds through television, digital platforms, and community-based programs. You can discover more free PBS KIDS content featuring your favorite shows by visiting PBS KIDS in the App Store. 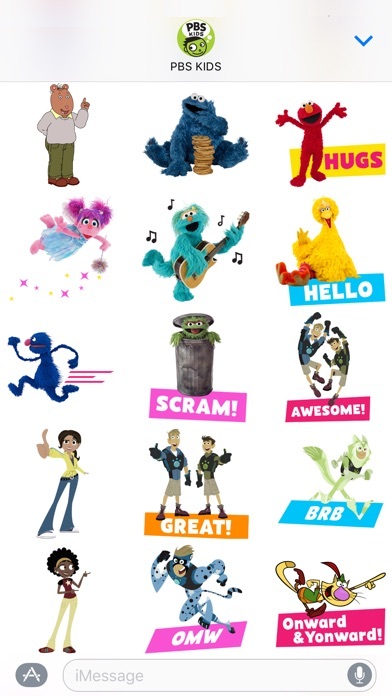 Release Notes: NEW - Mister Rogers' Neighborhood stickers added! plz add more characters and plz make some of them dabbing plz. 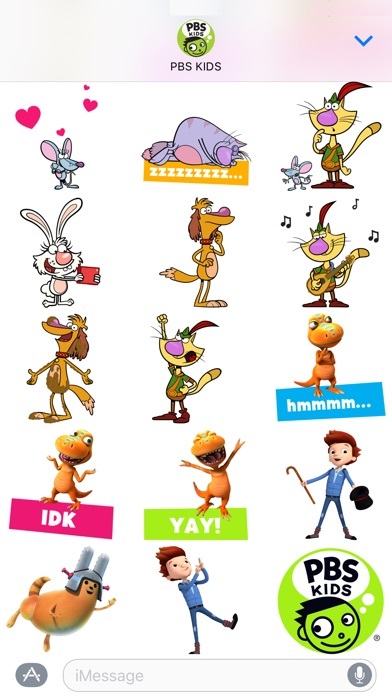 These stickers are really great, but, I gotta say, this app would be nothing if Binky Barnes wasn’t dabbing. This review would get 5 stars if there was Curious George. Please add him! That all I need to say about theses Stickers from thanksNintendo! Add some Daniel tiger stickers please! Love this app! Only characters missing and should be added: Daniel Tiger's Neighborhood, Curious George, Martha Speaks, Sid the Science Kid, Cat in the Hat, Peg + Cat, ODD SQUAD, Splash & Bubbles, etc.